See a coupon deal you’d like to use? 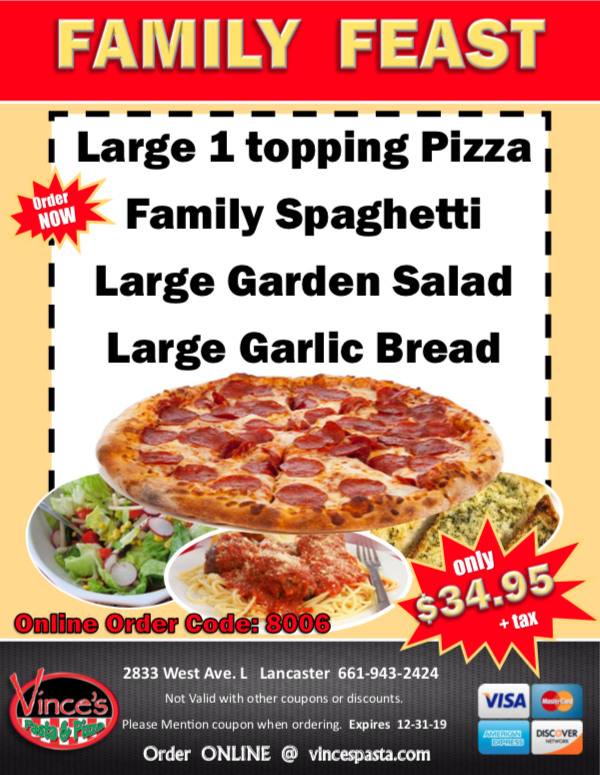 Simply select, print and take into your Vince’s Pasta & Pizza restaurant to redeem. 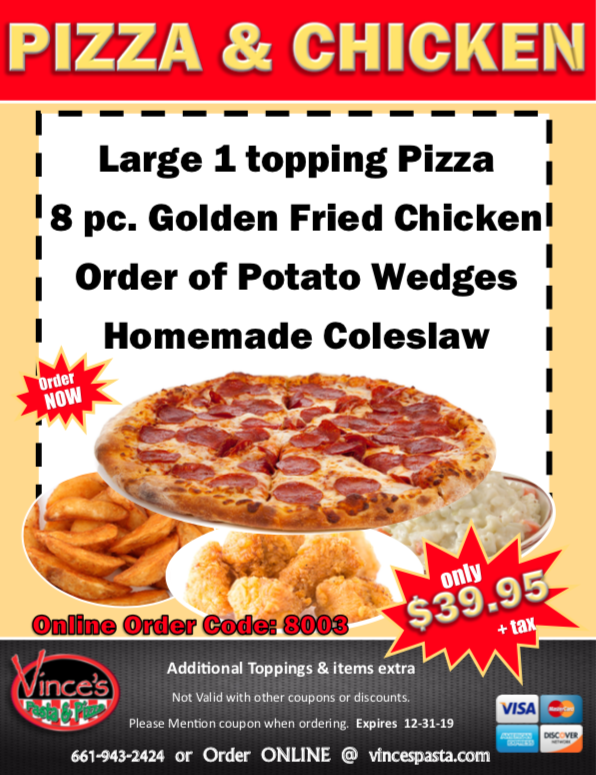 Ordering online for delivery or carry out? You can use coupons online too. 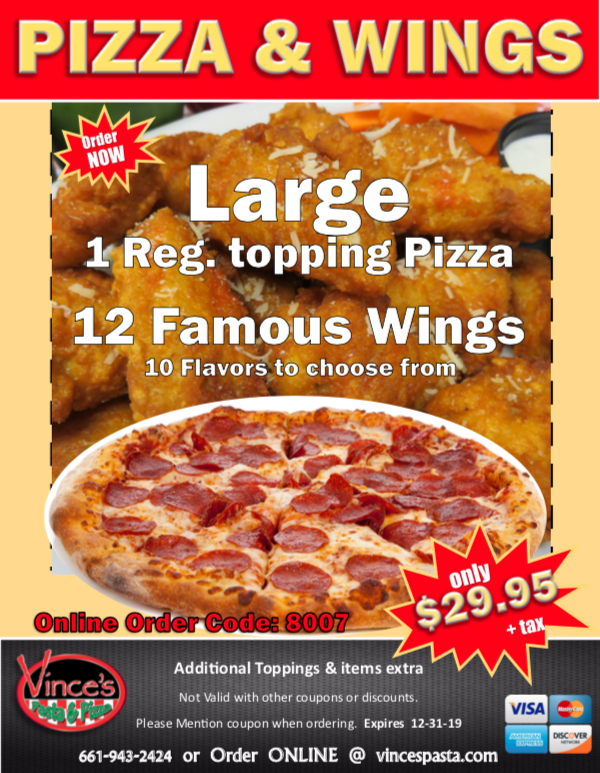 Write down the coupon code of the web deal and start your order here. 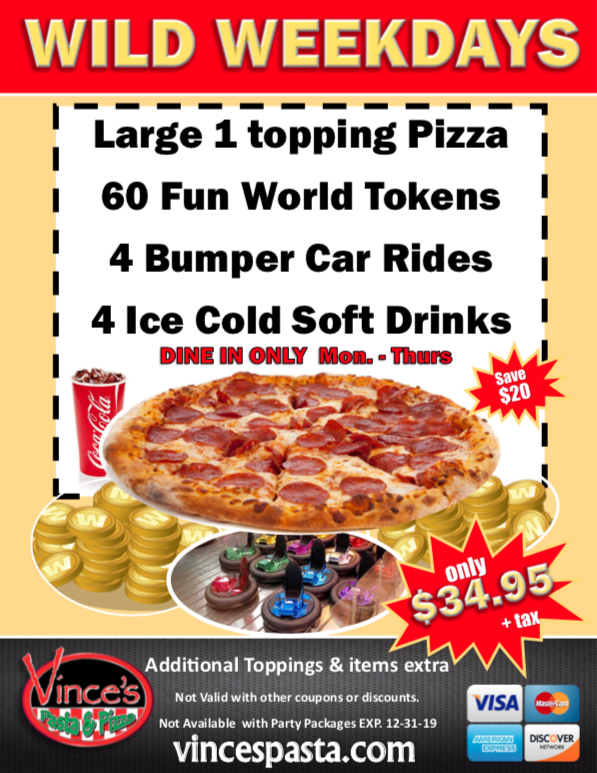 Earn valuable points every time you dine at Vince’s Pasta & Pizza (buffet, carry out and delivery) and redeem rewards for money off our legendary food and beverages through VIP Rewards. Not a member of Our VIP Rewards? Sign up today and start earning VIP Rewards points.